Designed by Michael Graves Architecture & Design. 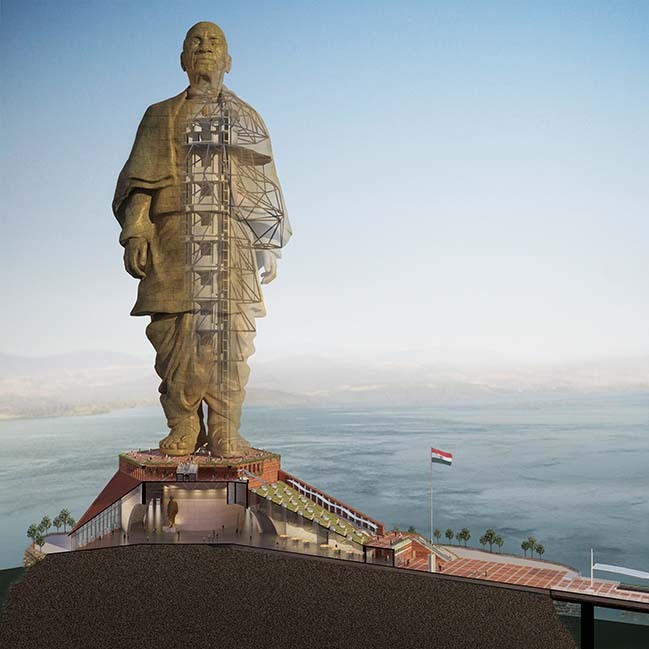 The Statue of Unity will be the tallest statue in the World when completed. 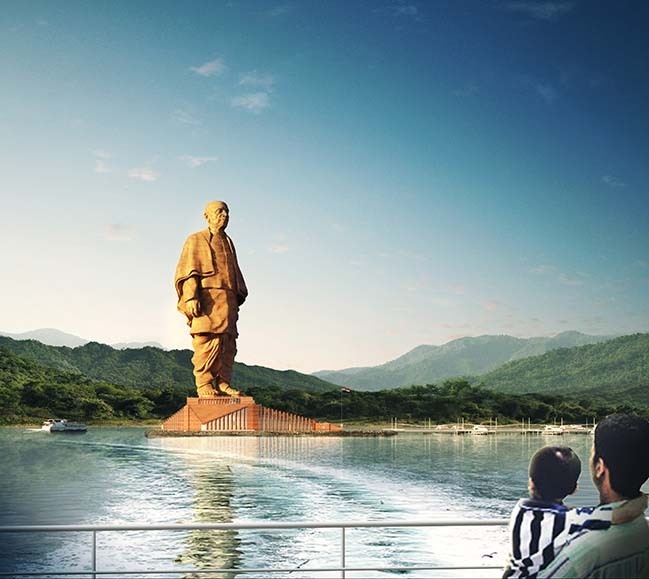 The Statue of Unity is a landmark project that is centered around the construction of a colossal statue of Sardar Vallabhbhai Patel, an important figure in the history of modern India during its independence from British Rule. India’s fi rst Home Minister and Deputy Prime Minister, Sardar Patel is credited with having convinced over 500 individual princely states to join the new Indian nation. 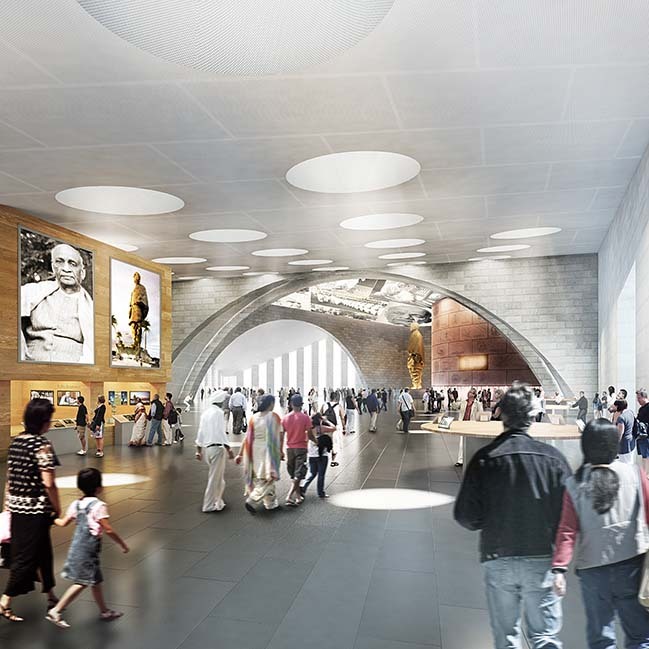 Project description: The project goals are both to commemorate Sardar Patel and to catalyze tourism in the region and within the client’s 2,200-acre preserve. 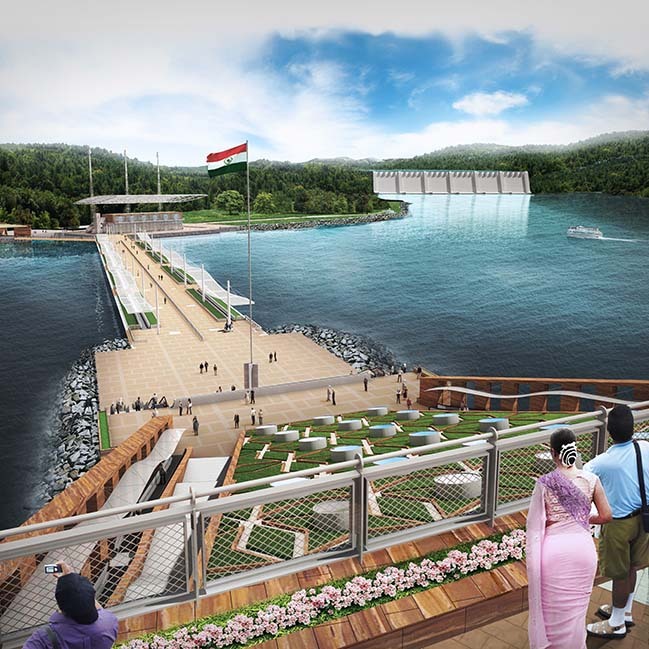 The preserve extends along the Narmada River from the town of Kevadia to the Sardar Sarovar Dam, a major hydroelectric dam that is also a tourist att raction. 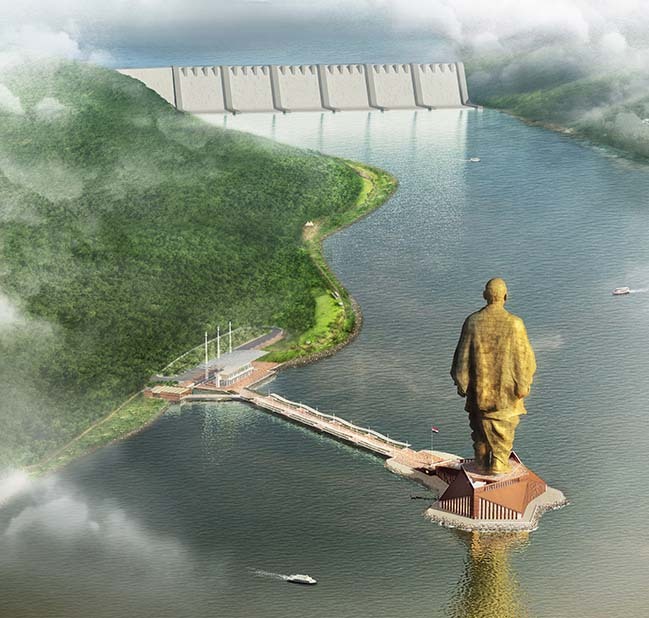 The Statue of Unity project is the fi rst phase of development of the preserve. 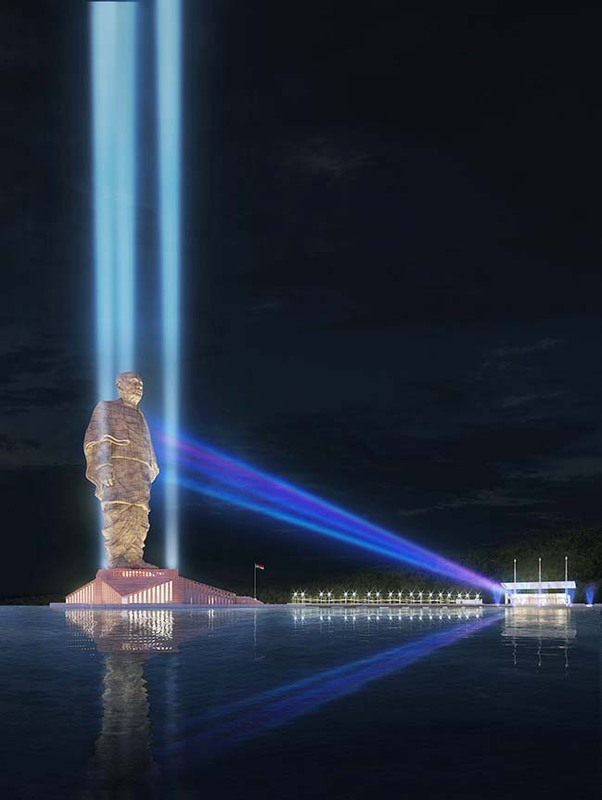 The project components include: a 182-meter tall statue of the likeness of Sardar Patel located on Sadhu Island approximately 3.5 kilometers downstream of the Dam and connected to the main land by a pedestrian bridge; tourist att ractions and a memorial garden associated with the Statue; a visitors center; and a hotel/convention center. 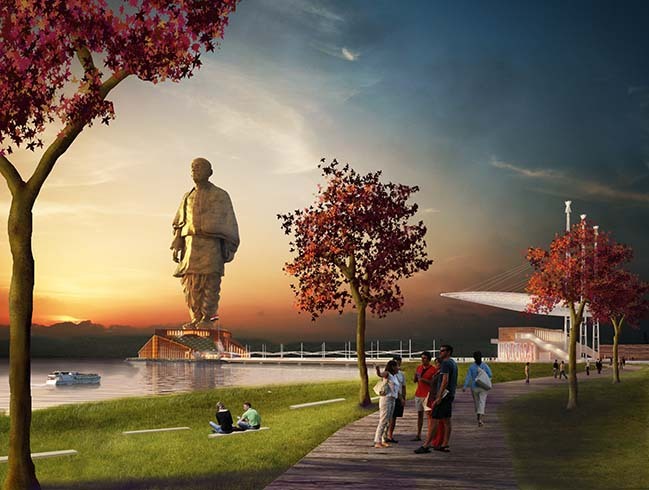 The Phase 1 facilities are located in two main areas along the river: at the southern end of the town of Kevadia; and at Sadhu Island and the adjacent main land. The Kevadia site is proposed to be the point of arrival for visitors, where parking and ticketing would occur. The 175-room 3-star hotel and convention center is also located in that area, where it can take advantage of synergies with existing facilities and the town. From the parking transport site, visitors would travel by bus to the visitors center on the main land near Sadhu Island.